Achieving and maintaining regulatory requirements is the cornerstone in security policies. We make use of all possible means offered by CCTV technology, to visually verify every incident. Specialised security services for those who demand tracking and geographical position monitoring. The first Alarm Receiving Centre in Greece, since 1982, with the largest customer database, over 20.000 subscribers. Specialised staff, high operational standards, latest technology systems and top effectiveness in preventing negative incidents. Through the connection of your Security System, we continually monitor its correct operation and notify you in any risk of threat. With a track record of 35 years, we offer reliability and trust for the Security of your property on a 24-hour basis, 365 days and nights throughout the year. The Alarm Receiving Centre HERMES manages over 9.5 million signals, from thousands of monitored systems every month. The state-of-the-art software, with its artificial intelligence capabilities, processes, analyses, defines the priority and forwards to users for further action, approximately 1 million of these signals. We operate using the most efficient processes, offering excellent services. Our really unique capabilities, top quality services and expertise in meeting particular needs, define the areas where we excel, along with our many years of experience. 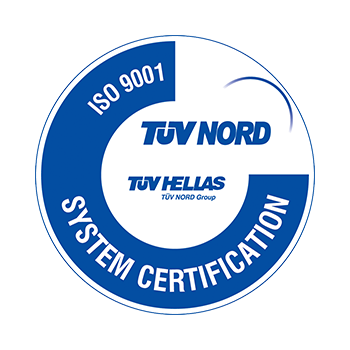 We are the only Alarm Receiving Centre in Greece that can guarantee the response times required by international standards BS 5979, BS8418 και ο ELOT ΕΝ 50518. We are the only ones that can promise that we will deal with 80% of Personal Threat alarms within 30 seconds and 20% within 60 seconds. We offer excellent technological facilities and support to Security managers of Banks, Retail Stores, large Groups and Installers. Full control of Security systems with prompt notification.